Radio2Space designs, develops and sells radio telescopes for Radio Astronomy and Satellite Communication. A first in the market, Radio2Space radio telescopes bring professional-level technology to the educational (schools, universities, science museums) and research (science institutes, space agencies) markets at an affordable price. 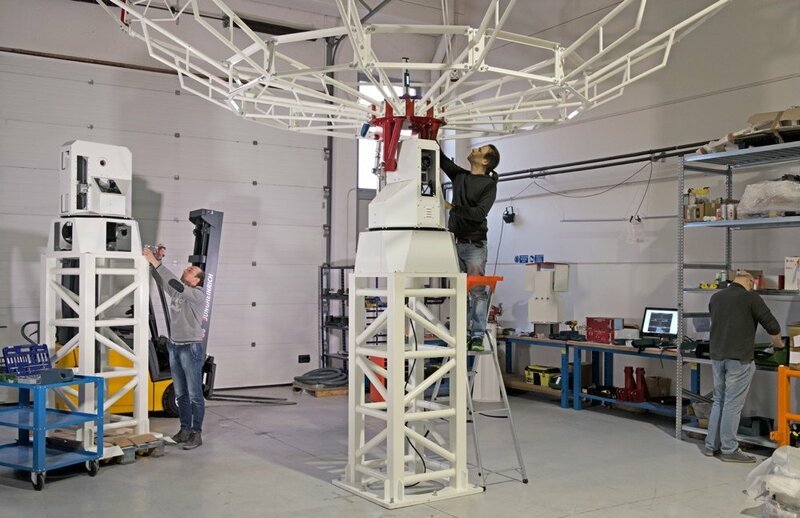 Radio2Space radio telescopes are the innovative instruments designed, developed and produced by PrimaLuceLab iSrl, the italian company founded in 2013 by entrepreneurs Filippo Bradaschia and Omar Cauz to bring to market innovative solutions for Space exploration. The company started radio telescopes developments in Pordenone Science Center “Polo Tecnologico Andrea Galvani” and in 2017 moved in the new and larger headquarter to build the big radio telescopes. Today the company has 7 employees at its headquarters in Roveredo in Piano (PN – Italy) with laboratory, warehouse and workshop. SPIDER radio telescopes have been presented in 2014 with the launch of the SPIDER 230C model, the first world compact radio telescope that allows amateur astronomers to discover the fascinating world of radio astronomy. In 2016 Radio2Space presented SPIDER 300A, the first turn-key radio telescope developed to bring professional radio astronomy technologies within the reach of schools and universities. In 2017 Radio2Space launched the SPIDER 500A, the 5 meter radio telescope designed to make professional radio astronomy accessible to everyone. 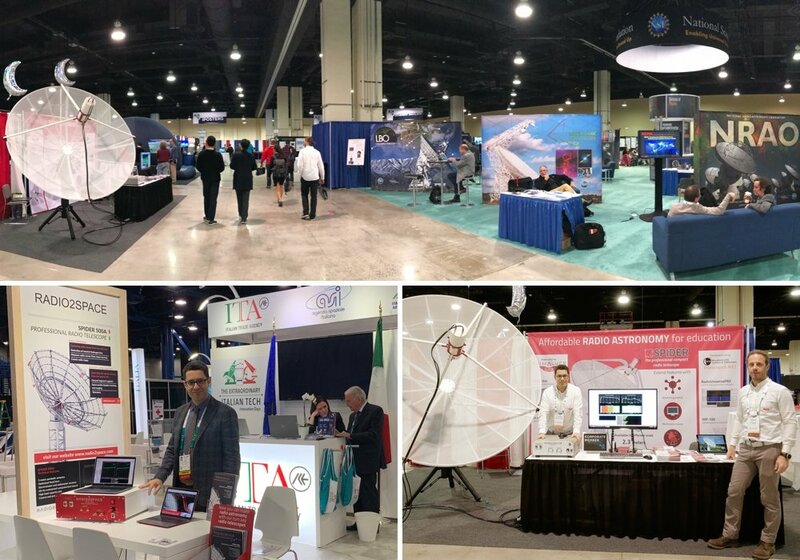 In 2018 Radio2Space presented INTREPID, the first line of turn key compact radio telescopes specifically developed for affordable satellite communication. Radio2Space radio telescopes are already used by schools, universities, institutions and agencies all around the World: from Europe to Africa, from Americas to Asia. Starting by 2015 they have been shown in the most important astronomy and space events like American Astronomical Meeting, International Astronomical Union and NASA SpaceCom.